Electronic Service of Process: Are You Ready for It? Today you would be hard-pressed to find a process that has not been impacted by technology. Below is an excellent article on the status of evolving technology and communication as it relates to the service of process. The legal profession is not known for being ahead of the curve when it comes to utilizing new technology. In fact, the profession is more known to gravitate toward tradition over innovation. However, sometimes new technological/cultural norms force themselves upon the profession, and the courts are forced to deal with the issues. One of the issues courts are facing more and more is the issue of service of process via email or social media. While the cases below, one that permits service via email and social media and one that does not, are from outside of Pennsylvania, they illustrate an issue that will face all litigators in the near future; the tension created by trying to reconcile constitutional concerns pertaining to service of process and evolving technology/communication. See, Electronic Service of Process Are You Ready for It | The Legal Intelligencer. This entry was posted in Litigation, Productivity & Technology and tagged attorney, facebook, legal technology, service. An article recently featured in The Legal Intelligencer highlights a number of important investigative steps for litigating personal injury matters. The authors recap instances where these minor but important moves made the difference in their case. In your last 20 motor vehicle collision cases, how many times have you visited the scene of the crash or sought the drivers’ phone records? Once, twice … zero times? These investigative steps should be second nature and common sense to the trial lawyer. Yet, many lawyers rarely visit the accident scene or pursue the driver’s phone records. Excuses are easy to make. Liability seems clear. There is no time to visit the scene. You can view the scene on Google Street View. The area is dangerous. Phone records are difficult to obtain without litigation. The case will settle quickly. Certainly, some cases are more clear than others, and the decision to forego these investigative steps can be justified. However, without a scene inspection or phone-record review, you will not know what you are missing. Or, even worse, what you are missing may come back to haunt you at trial. See, A Crash Course for the Personal Injury Lawyer. This entry was posted in Chalk Talk, Litigation and tagged attorney, civil, claims, personal injury. 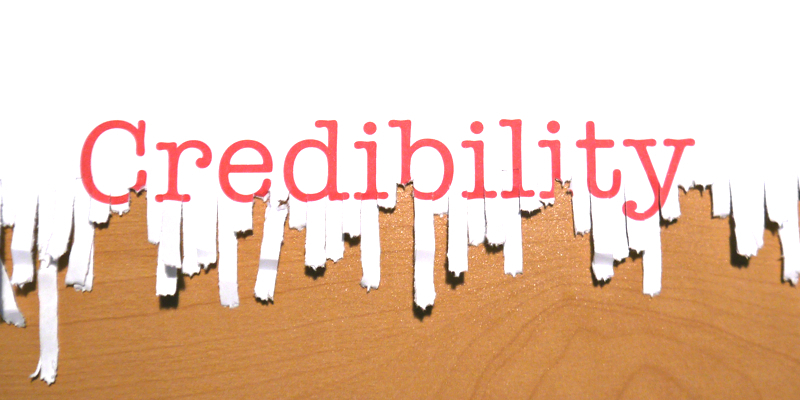 A few months back we discussed the importance of honesty and credibility. In line with that theme, Brendan Kenny of The Lawyerist recently wrote an article titled, “Why Hyperbole Will Destroy Your Case and Understatement Will Save It.” The article goes further in expressing the significance of maintaining your credibility as an attorney. It includes examples with story lines and excerpts of video depositions. The article even goes one step further and discusses strategies for handling attorneys that cross blur the line. It is a truly intriguing article that I encourage everyone to read. Read the article in its entirety at, Why Hyperbole Will Destroy Your Case and Understatement Will Save It. This entry was posted in Litigation and tagged attorney, lawyer, trial, trial attorney. Today, more and more limited tort cases are litigated. Their value hinges upon whether the plaintiff can prove a serious impairment of a body function, otherwise known as a breach of limited tort. While it remains unclear exactly what constitutes a breach, strategies amongst the plaintiff and defendant bars continue to develop. I recently came across this article in the Legal Intelligencer written by Marc Simon detailing their strategy for approaching limited tort cases. It’s a perspective worth reading for both plaintiff and defense attorneys. Marc Simon, Simon & Simon P.C. In the world of personal injury litigation, everything we do is a gamble. Every time we sign up a new client, file a lawsuit, pay our experts, and walk into that courtroom to pick a jury we, and our clients, are betting on 8 or 12 people sitting in the jury box. We’re risking our time, our staff’s time and our case costs, that the jury will come back with a favorable award. In that regard, any personal injury litigation is a game of chance. And like most games of chance, the odds are tipped slightly in the house’s (the insurance companies’) favor…especially in the limited tort context. This entry was posted in Chalk Talk, Litigation, Uncategorized.